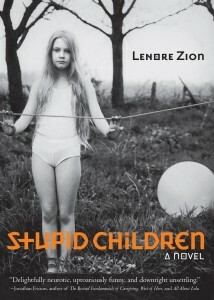 The first thing I did after finishing Lenore Zion’s Stupid Children was get in the shower, and the second thing I did was cry. Like Zion’s first book, the collection My Dead Pets Are Interesting (published by TNB Books), Stupid Children is atypical in nearly every sense, but these eccentricities work in its favor, and work only because Zion is such a capable writer, rendering Stupid Children with a refreshing brutality, in both subject matter and also in her merciless scrutiny of the novel’s diverse cast of characters. Though brief, the book demands time and attention, triggering far more thought than its 150-page count will lead any reader to expect. I laughed to the point of pain on multiple occasions, and to get the tears out, which before Stupid Children, and Lenore Zion, I hadn’t thought possible. The Rules of Inheritance begins with a mother dying. It is 1996 and Claire Bidwell Smith is eighteen years old. By this time, both of her parents have been diagnosed with cancer, and though her father’s was discovered first, her mother’s was farther along once finally found, too late, for some terrible reason, for many terrible reasons, none of which Claire will know for years, and some never. She receives the call in an unfamiliar bed under the same roof as a boy with whom she yearns to be familiar, but will never be, and not for lack of trying. This moment, many before it, and even many after it, solidify the circumstances that control Claire’s life for years. 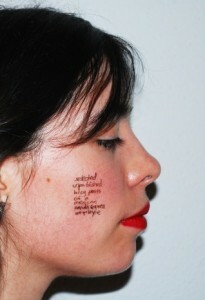 She is young and wild, uninhibited, restricted, hurt, abandoned. Death, the inevitable loss and end (or physical end) of all things, fills every crack in Claire’s being, the cracks that form following the deaths of both of her parents before she is old enough to fully realize the severity of these events and the consequences that will follow, many of which are self-inflicted. In the first chapter of Girl Unmoored, the reader is introduced to Apron Bramhall, Jesus Christ, and a small portion of the large cast of characters that populate this impressive debut. Jennifer Gooch Hummer has written a unique story of a precocious girl grieving the loss of her mother and, among other things, blossoming into a young woman. Jesus Christ turns out to be Mike Weller, who plays the son of God in a local production of Jesus Christ Superstar. After seeing the show with her best friend Rennie, Apron runs into Jesus everywhere. Conveniently, one of her neighbors is Mike’s grandmother, a woman obsessed with the color orange and whose nose is often bleeding. Night Swim begins with a flash forward to present day California, showing Sarah Kunitz alone in her home, her children grown and her husband away on business. She receives an e-mail from the boy she grew up living beside, a boy she kissed under a broken pool table in her basement. Quickly, the story shifts back. I bought Blue Nights in a train station. I said goodbye to a friend and got on the subway and got off and went home. Joan Didion had a signing in Boston the following week and the event sold out before I could buy my ticket. I found this ironic. I started reading.